SV50 Water Based Epoxy is a two-part epoxy (Part A - Resin and Part B - Hardener). 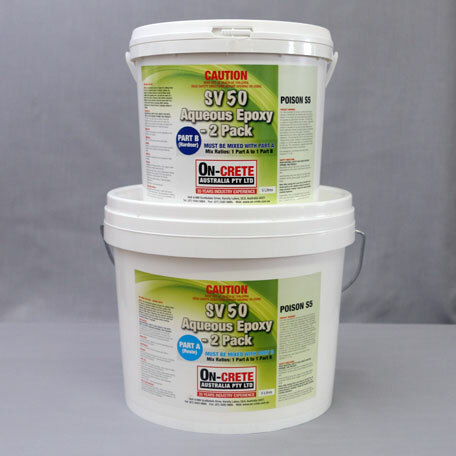 SV50 Water Based Epoxy is designed for an internal coating for concrete walls and floors. It is supplied as an opaque white colour and can be tinted with suitable water-based tints. Typically referred to as an epoxy floor paint. SV50 Water Based Epoxy is designed to be used as a primer or as a finish coat for internal concrete walls and floors. 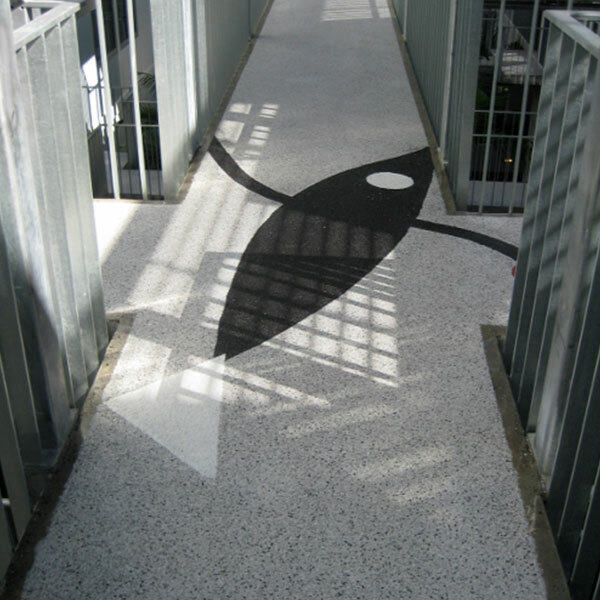 SV50 is commonly used as a base coat for flake chip epoxy flooring systems and because of its low VOC formula, it is also suitable to be used in food and beverage areas. 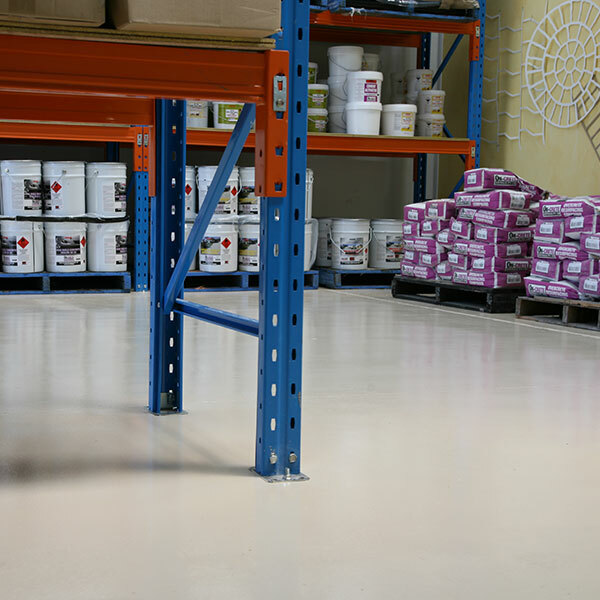 SV50 Water Based Epoxy is also used as a garage floor paint due to its ease of application and excellent durability. We have a wide range of colours to choose from, formulated from AS2700. Ensure concrete is sufficiently cured (recommended minimum 14 days). The surface requires cleaning to remove any substance which could affect adhesion (for example concrete sealer, paint, algae, mildew, mould, oil or grease). Once substances are removed, wash down area using a heavy duty cleaner, acid etch with a hydrochloric solution of 10 parts water and 1 part acid. Pressure clean using clean water. Ensure all acid is neutralized and removed. Allow to thoroughly dry before applying epoxy. If it is not possible to acid etch the surface, it must be abraded until the surface has a rough texture adequate for the epoxy to adhere to. Holes and cracks should be filled using appropriate epoxy filler. Using a calibrated moisture meter ensure the concrete has less than 20% moisture content prior to sealing. Mix equal parts of PART A and PART B together. While mixing scrape both the sides and bottom of the container and ensure it is thoroughly mixed and the colour is uniform white. Tint can be added if required. Tape up any areas before application and remove while the epoxy is still wet. Apply a prime coat using a low nap lint free roller and diluting the SV50 with 10% water, allow approx 2-3hrs to cure. Apply 1 – 2 additional coats allow to cure between coats. If to be used as a full coloured coating than an additional two coats will be required after priming. Approximately 8m² per litre depending on surface texture. 48 Hours for foot traffic. It is not recommended to seal at extreme temperatures that is below 8°C and above 30°C. Internal use only. Low yellowing when exposed to UV light. Technical Data & Application Sheet for SV50 Water Based Epoxy.